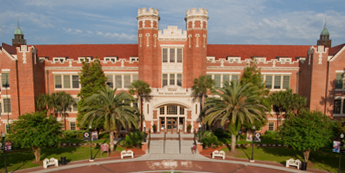 Why Choose Florida State University? As an early pioneer of online delivery, the Certified Financial Planning Program offered by FSU, continues its tradition of academic excellence in the non-credit, professional development space. Our programs provide an established curriculum, a distinguished faculty and two successful program structures that have been designed to meet the diverse needs of those working towards CFP certification. More than 100 years of combined experience and knowledge as practicing professionals. Expertise in diverse fields with recognized credentials including CFP®, CPA, and J.D. 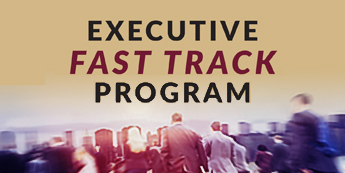 We now offer two programs, our Traditional Program and our newly developed Executive Fast Track Program. The Traditional Program has been a popular selection among students seeking CFP certification for over 2 decades. The Traditional track offers 10 week core courses while the Executive Fast Track offers 6 week core courses. The Traditional Program offers each of the seven courses three times a year allowing students to customize their learning experience by selecting the order they take each course, while the Executive Fast Track Program courses are offered once a year in a pre-defined order. These different tracks offer the same quality content and instruction while the Executive Fast Track is more condensed allowing the student to complete the program in less than a year. Both programs offer a Pay-As-You-Go structure (students are NOT REQUIRED TO PAY FOR ALL OF THE COURSES UP FRONT). This allows students to test out either program before making a financial commitment. The price per course is the same regardless of the track chosen. Both programs provide the flexibility for students to learn at their own pace while staying on-track with weekly reading assignments and interactions with instructors and peers. Whether preferring a slower pace with our Traditional Track or a faster pace with our Executive Fast Track, students have the choice to learn at their own pace and the flexibility to jump on and off these tracks as they see fit. To obtain discount codes, please call (850) 644-7542. Discount codes MUST be entered and applied in the Promo Code box during the registration process and cannot be applied after the registration is submitted. Before submitting your registration, please verify that your total amount due reflects your discount. Only one discount code can be used per course. The mission of the Florida State University Certificate in Financial Planning Program is to offer high quality, interactive and affordable online financial planning courses for those pursuing CFP® certification, as well as those seeking to better educate themselves in financial planning topics. Learn more about our Advisory Group. 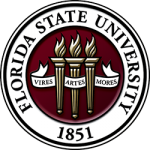 Florida State University is accredited by the Southern Association of Colleges and Schools (SACS). Florida State University’s Certificate in Financial Planning Program is a registered program provider of the Certified Financial Board of Standards Inc. (CFP Board). Please see our press release for more details. What is the FSU Certificate in Financial Planning Online Program? The FSU CFP Program is a non-credit, CFP Board-Registered Certificate Program designed to prepare students for success in the financial planning field and to fulfill the education coursework requirement set by the CFP Board to qualify to sit for the CFP® Certification Examination. The comprehensive seven-course curriculum developed by FSU provides an in-depth understanding of the principles and practices of financial planning, expands your knowledge of financial resources and services, and helps develop the expertise essential for you to effectively assist clients. The program is fully online and text-based. Each course delivers weekly pdf lectures along with required textbook and/or online reading assignments. There are also supplemental resources provided for additional clarification and exploration, as well as, self-graded quizzes that allow students to assess their comprehension and mastery of that week’s materials. Topics are further discussed through the class discussion boards. Our program and course structures allow you to customize your learning experience to balance the time dedicated to the program with outside work and life demands. At the program level, you have the freedom to register and pay for any course in any order as they become available. And, at the course level, you have the flexibility to learn at your own pace while staying on-track within a structured timeframe. The FSU CFP program combines expertise and experience with affordability and flexibility. The FSU CFP program is designed for anyone pursuing CFP® certification, wishing to expand into the financial planning field, wanting to make a career change, or simply looking to gain general knowledge about financial planning for personal growth and enrichment. Many of our students who are fulfilling the CFP Board’s education coursework requirement work in the financial service industry. We also have students from widely diverse careers who are looking to move into the financial planning arena or want to learn more about a specific subject matter. This diversity in our students’ backgrounds greatly enriches the learning experience through the use of discussion boards. Whether you are new to the financial services field, a seasoned financial professional, or wanting to learn more about a specific topic, our program is designed to be equally beneficial. I started a program elsewhere; can I finish my program of study at FSU? Yes, if your ultimate goal is CFP® certification and you have successfully completed individual courses at another CFP-Board Registered provider, you may qualify to apply for the CFP® Examination Certification under the Multiple CFP Board-Registered Programs status. 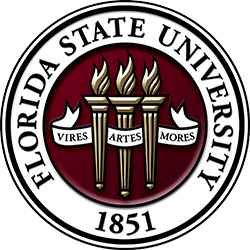 After applying for the exam you will be required to verify completion of the education coursework requirement; simply include the FSU letters of completion for each course that were emailed to you along with the documentation from any other registered program to the CFP Board. How many courses do I need to take to get a Certificate in Financial Planning from FSU? We issue a downloadable Certificate of Completion and email a letter of completion for each course you successfully complete, but reserve our Certificate in Financial Planning for those who complete five or more courses in our program. Does completing the FSU Certificate in Financial Planning program (seven courses) mean that I have earned CFP® Certification? No. It means you have met the educational coursework requirements of the CFP Board. You must still complete the rest of the CFP Board’s initial and ongoing certification requirements to obtain CFP® certification and pass the CFP Board Exam. FSU does not award CFP® certification. CFP Board owns the CFP® and Certified Financial PlannerTM certification marks, which it awards to individuals who meet its education, examination, experience, ethics and other requirements. Students completing the financial planning program at FSU will have met the Education requirement for CFP® Certification Examination administered by CFP Board. We strongly encourage participants to become well informed regarding the CFP Board’s requirements for CFP® certification before undertaking any CFP Board-Registered Program. Learn more by visiting the CFP Board website at CFP® Certification Requirements. Our program is fully online and is text-based. Each course delivers weekly pdf lectures along with required textbook and/or online reading assignments. There are also supplemental resources provided for additional clarification and exploration, as well as, self-graded quizzes that allow students to assess their comprehension and mastery of that week’s materials. Topics are further discussed through the class discussion boards. For the Traditional Track, each of the six core courses is 10 weeks long while the Capstone course is 14 weeks. An extra week is added to any course that falls during the winter break (December) to allow students to celebrate the holidays. Students in the traditional track can expect to complete the program in approximately 20-22 months if they take one course at a time. For the Executive Fast Track, each core course is six weeks long while the Capstone course is 8 weeks. As with the Traditional Track, an extra week is added to any course that falls during the winter break (December) to allow students to celebrate the holidays. Students in the Fast Track can expect to complete the program in under a year. I have a demanding career and family obligations. Will I be able to keep up with all the homework and reading assignments? Balancing family and work is always a challenge. Our online learning management system is especially convenient for working professionals. Our program and course structures allow you to customize your learning experience to balance the time dedicated to the program with outside work and life demands. At the program level, you have the freedom to register and pay for any course in any order as they become available. And, at the course level, you have the flexibility to learn at your own pace while staying on-track within a structured timeframe. Regarding time commitments, students taking the Traditional Track should expect to devote at least 10 hours per week while students taking the Executive Fast Track should expect to devote at least 20 hours per week. Will classes be taught at a set time, or will students be able to log on when they have the time to do so? Classes are not taught at a set time of the day. Rather, students work at their own pace and at their own convenience within a structured framework. For example, students should complete the first lecture and required reading within the first week, but the material will remain up and running so that students can catch up if they are unable to work on a lecture within the prescribed time period. The only constraints are the exams which must be completed within specific time-frames. This provides closure for the course and prevents a student from letting the course become never-ending and also helps, in some cases, in satisfying an employer’s requirement for funded/compensated courses. What is CFP® certification and what are the requirements to obtain it?CFP® certification is a nationally recognized professional certification offered through the CFP Board. It is generally recognized as the highest standard in financial planning and represents a high level of competency, ethics and professionalism. To obtain the CFP® certification, you are required to meet the initial certification requirements known as the “four E’s”. You can learn more by visiting the CFP Board website at CFP® Certification Requirements but below is a brief summary. Education – Complete the educational coursework requirement and hold a bachelor’s degree in any discipline from a regionally accredited college or university. Examination – pass the comprehensive CFP® Certification Examination. Experience – meet the experience requirement. Ethics – adhere to the CFP Board’s Standards of Professional Conduct, satisfy the Fitness Standards and pass the background check. What is the CFP® Certification Examination? The CFP® Certification Examination, administered by the CFP Board, is one of the requirements to attain CFP® certification. The exam is designed to assess your ability to integrate and apply a broad base of financial planning knowledge in the context of real life financial planning situations. By passing this exam, you demonstrate to the public you have attained a competency level necessary to practice independently as a financial planner. To sit for the exam, you must have completed a financial planning curriculum at a CFP Board-Registered Program such as ours, or satisfied CFP Board’s education coursework requirement through the Challenge or Transcript Review options. You can register for the CFP® exam prior to completing education coursework requirement. However, the CFP Board must receive verification of the completed education coursework requirement by the verification deadline. If verification is not received by the deadline, you will be withdrawn from the exam and a withdrawal fee will be charged. You can learn more by visiting the CFP Board website at About the CFP® Exam. When is the CFP® Certification Examination administered? The CFP® exam is administered during three 7-day testing windows each year, with one testing window available each March, July and November. Registration for each exam opens up about three months before the exam period. For more information about the CFP Board exam times, schedules and how to register please visit the CFP Board website at CFP® Exam Apply Online. How do I register for the CFP® Certification Examination? To register for the CFP® exam, you must log into your CFP Board account and complete the registration form. The exam registration process in your online CFP Board account allows you to pay the registration fee by credit card. What is the fee for the CFP® Certification Examination? The registration period for each exam is broken into three phases each with their own pricing: Early Bird Registration, Regular Registration, and Late Registration. Candidates are encouraged to register as early as possible to take advantage of the Early Bird pricing and to ensure a better selection of testing dates and locations. To see the most current prices visit the CFP Board’s FAQs. What is the retake policy for the CFP® Exam? Where is the CFP® Certification Examination administered? The CFP® exam is administered in over 265 Prometric Testing Centers across the U.S. Testing appointments (date and location) are scheduled after you have registered and paid for the exam with the CFP Board. What are the education requirements to enroll in the FSU Certificate in Financial Planning courses? While there are no special degree requirements to participate in the FSU Certificate in Financial Planning program, it should be recognized that the level of instruction is that of an upper-division college course. If your ultimate goal is CFP® certification, the CFP Board requires you to complete their educational coursework requirement through some combination of educational program, challenge or transcript review. Completion of the seven courses in our CFP Board-Registered Program fully meets that requirement. Is there any way to exempt some of the course requirements based on completion of other designations or academic course work? Yes, CFP Board offers both Challenge Status and Transcript Review paths to fulfill most or certain portions of the education coursework requirement for CFP® certification. See below. CFP Board has approved specific academic degrees and professional credentials as fulfilling most of the education coursework requirement for CFP® certification. If you have one of the following degrees, licenses or credentials, you may be eligible to apply for the CFP® Certification Examination, after you have completed a capstone course registered with CFP Board such as ours. CFP certification from the Financial Planning Standards Board Ltd. (FPSB) Affiliate located in your territory of residence outside the U.S.
To learn more about whether you qualify for Challenge Status, please visit the CFP Board website at Challenge Status. You have one of the credentials listed below that CFP Board has pre-approved for partial credit towards the education coursework requirement. You can learn more by visiting the CFP Board website at Transcript Review. How will I be graded in the FSU CFP courses? Traditional Track students have two exams: a mid-term and a final exam. Each exam consists of 50 multiple choice questions and students have 10 days to take each exam. Executive Fast Track students only have a final exam. The final exam consists of 50 multiple choice questions and students have 10 days to take it. What is the grading scale for FSU’s Online Certificate in Financial Planning courses? May I repeat a course and replace a lower grade? Yes, students may retake a course at 50% of the regular fee so long as the course is taken within a time frame to allow completion within one year from the date of original enrollment in the course. Traditional track courses are offered three times a year while the Executive Fast Track courses are offered once a year. Must the courses be taken in a specific order? Can I enroll for more than one course at a time? Yes. Two online courses could be taken concurrently by choosing from the different cycles posted on the Course Calendar. We do not encourage or recommend that anyone take more than two at a time but, depending on your experience, motivation, and available time, you may do so. For Traditional Track courses, we advise that you allow at least 10 hours per week per course for adequate course preparation. For Executive Fast Track courses, we advise that you allow at least 20 hours per week per course for adequate course preparation. How long will it take to complete all seven courses? For the Traditional Track it takes approximately 20-22 months taking one course at a time. This timeframe can be reduced by taking more than one course at a time. For the Executive Fast Track, it will take less than a year to complete the entire program. Are there any vacation periods? Any course in progress during the week which includes December 25th is extended for one additional week. A new lesson is not posted during that week. May I just take one course or do I have to complete the program? You may take one course or as many as you wish. We issue a Certificate of Completion by email for each course that you successfully complete. However, at least five courses must be completed in our program in order to earn FSU’s Certificate in Financial Planning. 9. Why a Career in Financial Planning? Why should I consider a career in financial planning? There are currently more CFP’s over the age of 70 than under the age of 30 and as they begin to retire this is creating a growing demand for qualified personal financial planners. Now is the time to become a CFP® professional. Employment of personal financial advisors is projected to grow 30% from 2014 to 2024, much faster than the average 7% for all occupations. As the population ages and life expectancies rise, demand for financial planning services should increase. The median annual wage for personal financial advisors was $89,160 in 2015. Certification can improve one’s chances for advancement in the occupation. In addition, the replacement of traditional pension plans with individual retirement accounts is expected to continue. Therefore, individuals must save and invest for their own retirement, increasing the demand for personal financial advisors. What is the policy on withdrawal? Students must contact the instructor or administration department in writing of their intent to withdraw from the course. In order to receive a full refund, written notification must be received prior to the course start date of the class. For students withdrawing from the course after the start date, a written request must be received before the beginning of the 2nd week of class. Refunds will be processed minus a $50 administrative fee. For students withdrawing from the course during the 2nd week of class but before the beginning of the 3rd week of class, no refunds will be issued but students can request to take a future section of the course within one year of the original course start date at no additional cost. For students withdrawing from the course after the beginning of 3rd week of class, students can request to retake the course at 50% of the course fee within one year of the original course start date but no refund will be issued. In the event of extraordinary extenuating circumstances, such as military deployment, exceptions can be made at the discretion of the CAPD management. Please allow up to 4 weeks to receive any refunds. 11. Does FSU offer a CFP Board Exam review course? Does the CFP Board have a centralized job board posting? Yes, to learn more about job opportunities visit the CFP Board Career Center website. In addition, the CFP Board Career Center allows you to post your resume for potential employers to review. How do I create an account with the CFP Board? Are FSU CFP courses copyright protected? The course materials in this program are copyrighted. Copying or other use of the material, except by paid program participants solely for their private use, is strictly prohibited. Participants may download lessons onto private, non-networked computers provided the material is used solely by the participant for review purposes. Do I have to adhere to the FSU Academic Honor Code? Yes, the provisions of the FSU Academic Honor Code apply to all facets of this program. At least one course begins every month, enabling you to choose the dates most convenient for you. The core courses are 10 weeks in length while the Capstone course is 13 weeks in length. We recommend taking Introduction to Financial Planning first. Click on a course title for more information about each course including instructor and textbook. NOTICE: Access to the course is NOT Immediate. An account will be manually created for you once your payment has been submitted AND processed which can take 1-2 business days. Regular business hours are M-F 8am – 5pm. Course access information will be emailed to you. For more information about our certificate program or classes, contact our Program Manager Anthony McDonald at (850) 644-7542 or use the form below. PLEASE INCLUDE THE COURSE NAME AND SECTION NUMBER YOU ARE INQUIRING ABOUT.